Ask anyone this question, "Who is the master of leg-spin bowling?" and I can bet you'll hear only one name: Shane Warne. No one can ever match the spin of Warne; the rip and spin which he extracted even from pitches which suited the quicks could befuddle any batsman. Leg spin is an art that is considered the most difficult to learn in cricket, but Warne took to it like it was child's play. A career which spanned about 15 years was a nightmarish time for all opposition teams. Warne's career didn't start on a bright note, unlike most other greats. He got just one wicket in his first Test against India, and as a result, was dropped from the next match. The next series was against Sri Lanka, and in his first innings he again went wicketless. However, in the second innings, he took 3 wickets which engineered a collapse and helped Australia win by 16 runs. Warne was still dropped from the first match of the next Test series, against West Indies, but was called back for the second Test. The leggie didn't disappoint, as he came up with a 7-52 match winning performance. The rest, as they say, is history. Warne went on to take over a 1000 wickets in international cricket, 1001 to be precise, carving out an indelible place for himself in history. Warne's first Ashes Test delivery to Michael Gatting was termed as the 'Ball of the Century'. The ball flighted, went straight down leg and after pitching spun so sharply that it hit the top of off stump. 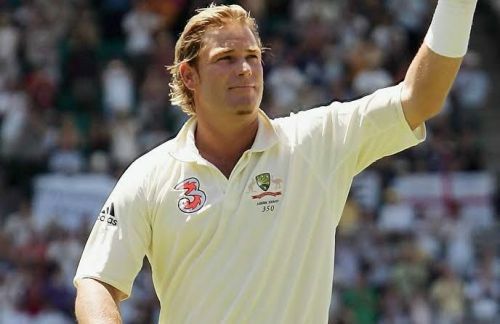 Warne had a career full of controversies - from getting fined for accepting money from a bookmaker in 1998 to getting banned for two matches after the internal conflict between him and Arjuna Ranatunga to being tested positive for doping. The list of his misdemeanors is large, but the man never stopped showcasing his brilliance in international cricket. Now to talk about his action, Warne had a simple walk to the crease and then gave the ball some rip as he delivered it. But that rip was all that mattered. Many umpires claim to have heard the sound of the revolutions on the ball while leaving his hand, which speaks volumes about his abilities. Warne also had some cunning variations like the googly, flipper, zooter, etc. - all of which kept the batsman perennially guessing. He is only the second bowler to have taken 1000 wickets in international cricket, just a notch below Sri Lanka's Muttiah Muralitharan. We can definitely say that a bowler like Warne comes once in a century.